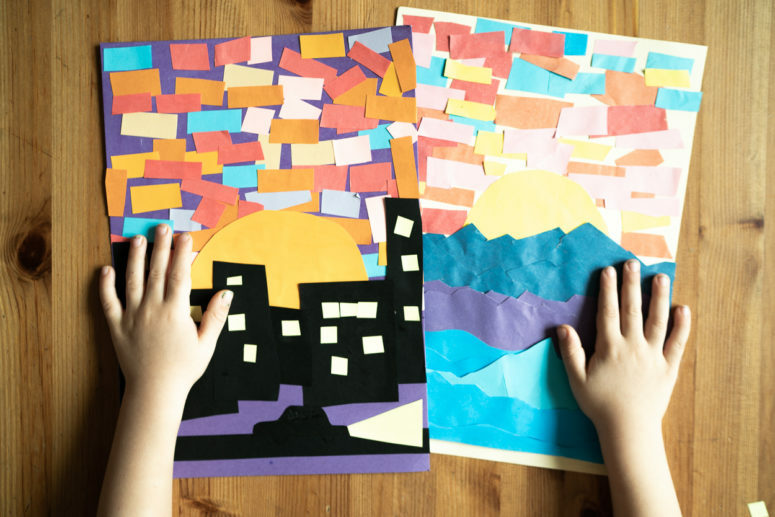 Children love cutting paper, and you are tired of throwing away all these pieces, just turn them into beautiful appliques. The beauty of these children’s crafts is that it cannot be spoilt, it is not necessary to cut precisely. Let the child cut as it he or she can, with all the irregularities, the applique will only become more interesting. 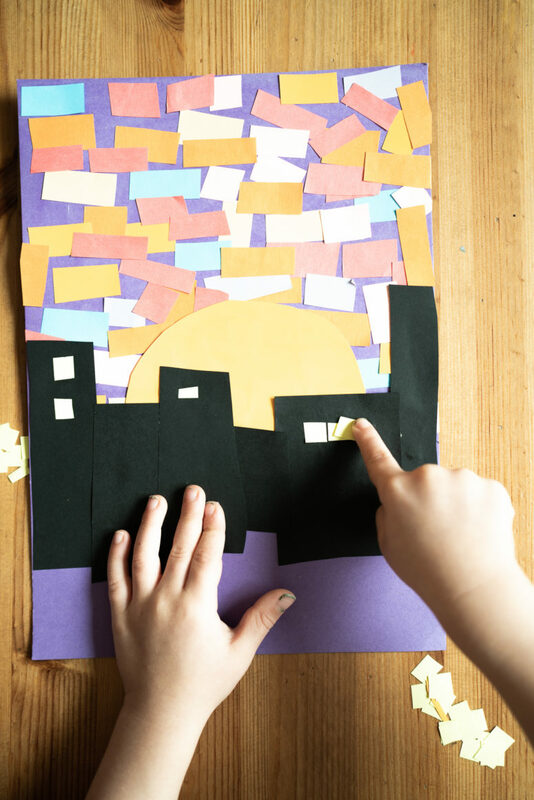 In addition to working with scissors, this simple children’s app helps to revise geometric shapes and develop associative thinking, and if inserted into a frame it can be an excellent decoration for a children’s room. 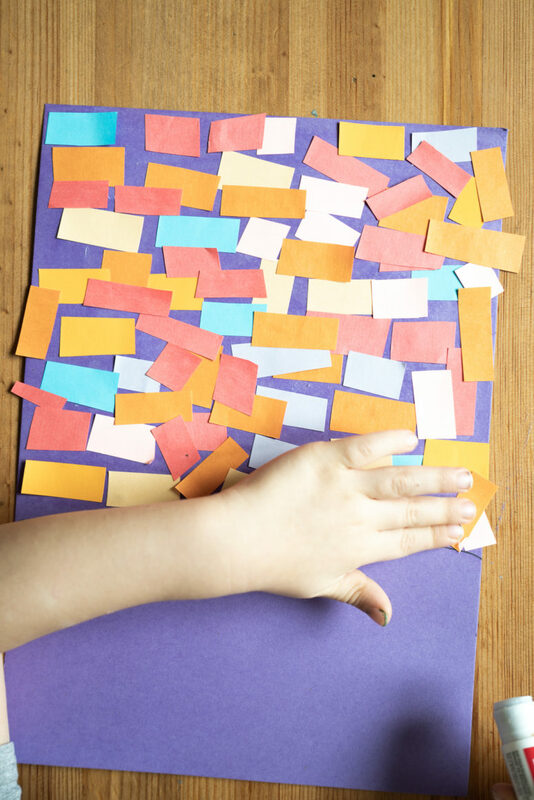 Take a lot of colored paper and cut it into wide stripes – use different colors. 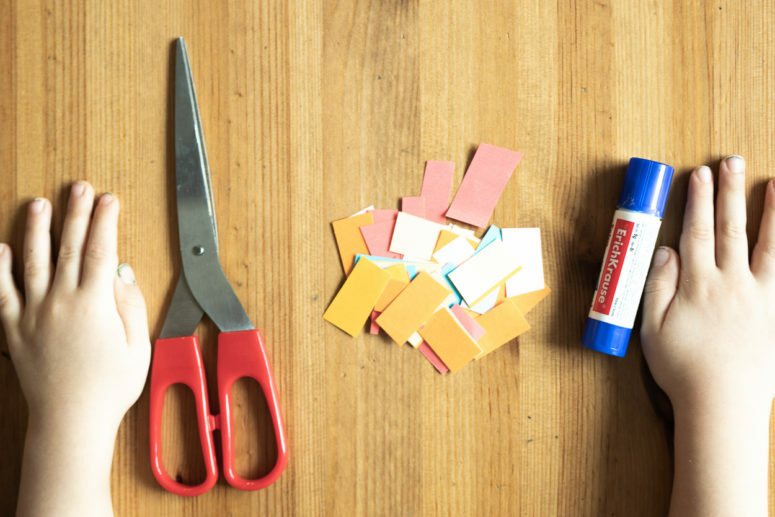 Take a yellow sheet of paper as a backdrop and start gluing blue stripes on it. 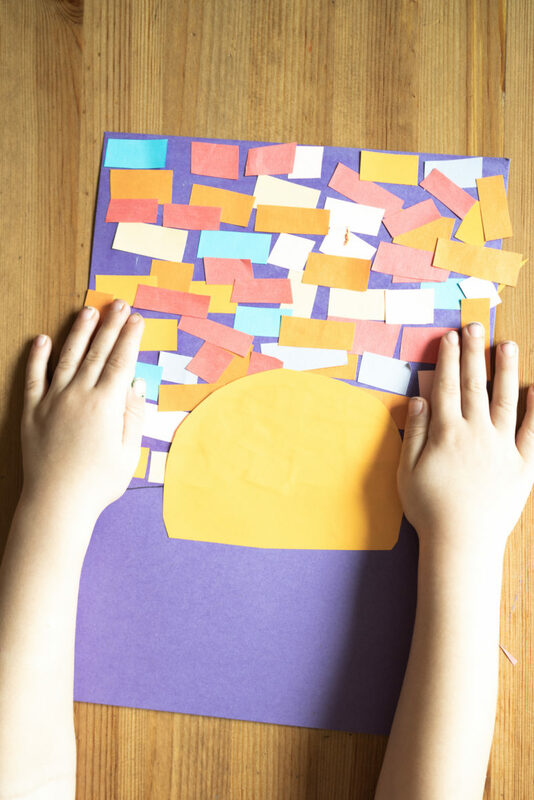 add pink, red, purple, beige and other pieces chaotically covering the upper part of the sheet. Do the same with a blue and purple sheet of paper. Cut out a large yellow circle, then glue it in the middle. Cut out some yellow squares and attach them to the skyscrapers to represent windows. 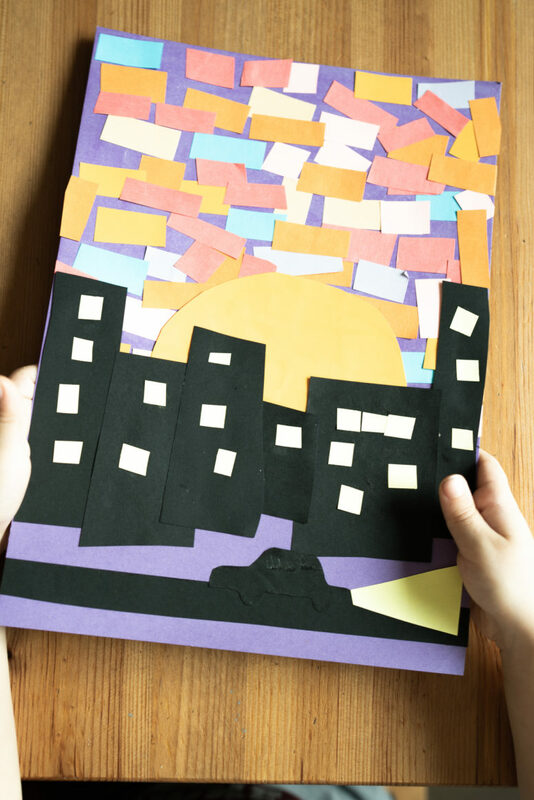 Attach a black or brown car to the road and add detailing with black paper. 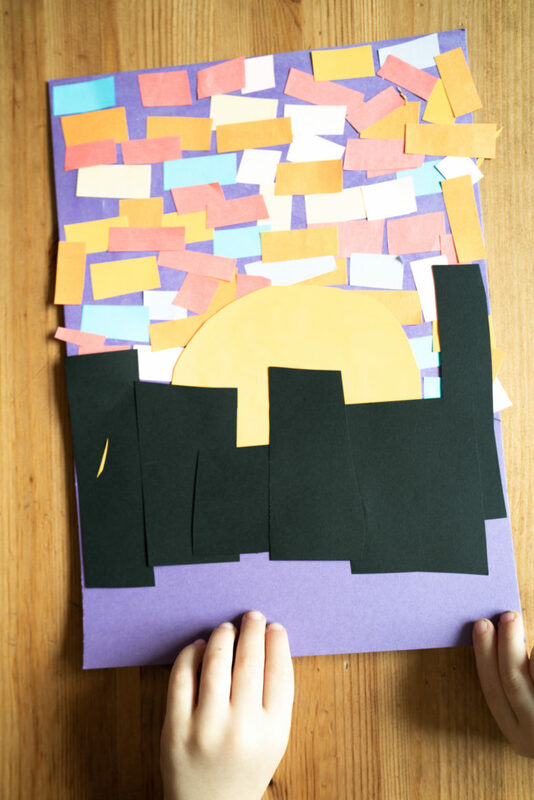 Cut out and attach a human silhouette of black paper on top of a skyscraper and voila! Take the yellow sheet and attach a large sun in the center. Cut out and attach to the sheet some waves in different shades of blue – from navy to light blues. Cut out and glue some seashells, star fish and jellies in the bottom. Cut out some pieces of black paper to make up a ship on the waves and then glue two stripes of red paper to represent sails. Voila! 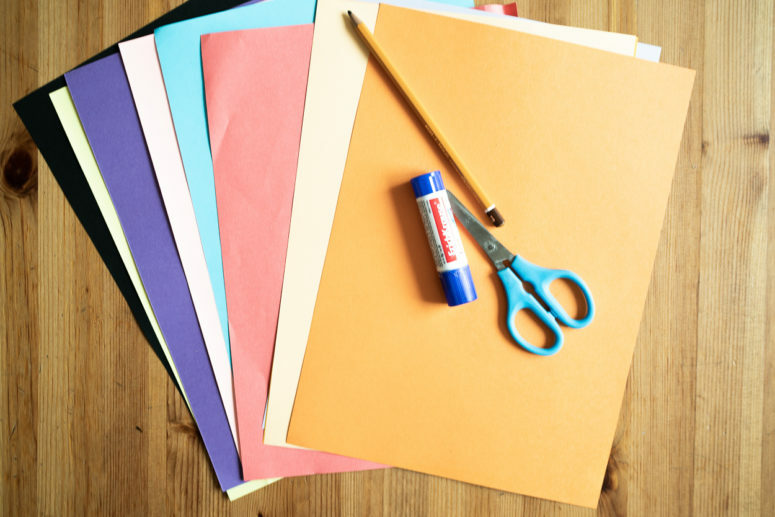 Take the blue sheet of paper and glue a large piece of green paper to its lower part covering it completely. Glue a yellow circle in the center to represent the sun. 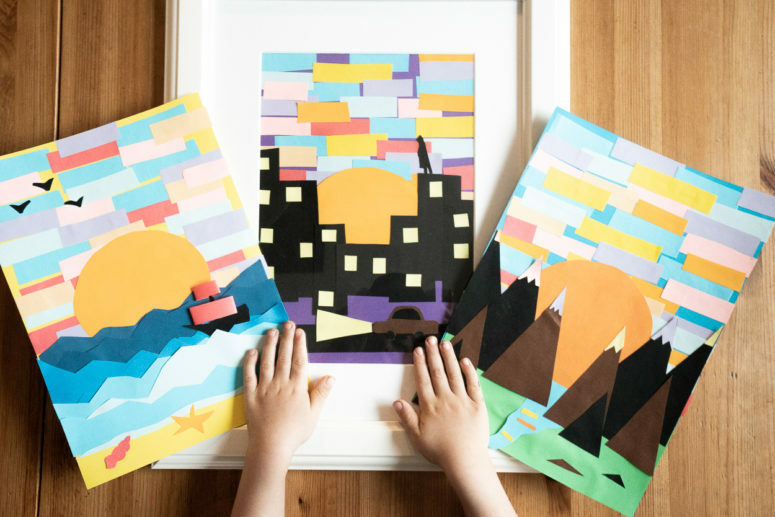 Cut out and attach black and brown mountain silhouettes around the sun, then add a curved piece of blue paper under one of mountains to represent a lake or river. 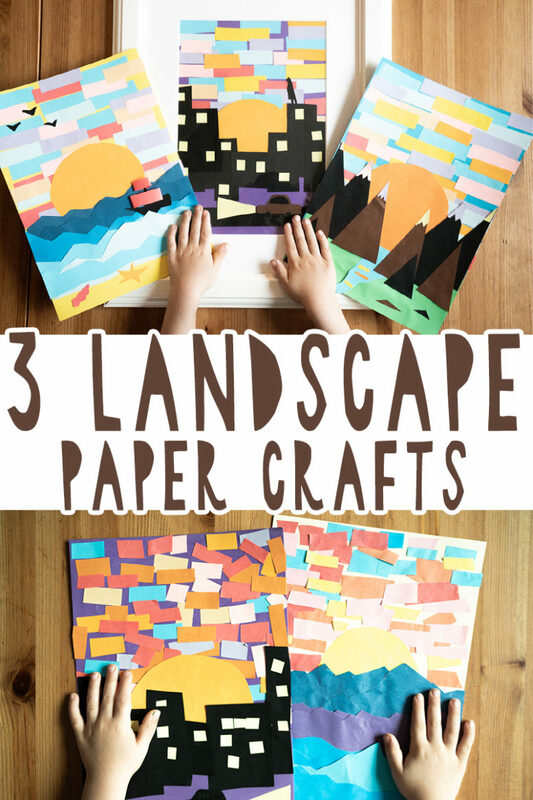 Top the mountains with pieces of grey and white paper to show snow and add yellow stripes to the river.